Cultural attendance, both to see plays and to access the Theatre's adult programme, encourages participants to access the Theatre independently. Often projects that take place with marginalised groups happen outside the ‘mainstream’ – participants go to workshops just for them, are invited to a special performance and are not encouraged to engage with the wider offer of a cultural organisation.  The Booth Centre and the Royal Exchange believe it is important that participants are encouraged and supported to join the dots and operate independently, accessing the Royal Exchange and the plays on offer just as any other audience member or visitor would. 1. Have an organised trip the first time people visit – involving staff from both the support organisation and the cultural organisation. This can be gentle, involving time for tea and a chat, and maybe a look behind the scenes (People may have a lot of questions about where they should sit, about what they imagine they should wear, about the unwritten rules of audience behaviour … it’s fine to clap at the end, and laugh at the ‘right’ bits? But it’s generally not OK to make a lot of noise? All of these questions can be covered in this initial visit. 2. Even this might seem like a step too far in the first instance – so it’s good to go and meet with a group on their patch first, popping in to their sessions so the group get to know you. More established members of the group may also be up for helping deliver an introductory tour, planning the structure of the visit with you and encouraging others by talking about their own experiences. 3. Participants can feel there are a range of barriers to becoming an audience member. Some of these are perceived (it’s not for me, I won’t understand it, I won’t fit in). Some are real (price, access). You may need to think about the approaches you need to take to help bring down these barriers. 4. Don’t just do a one off trip – if possible support people to come and see different kinds of plays or performances. Not everyone will like everything! 5. Looking at why people like things, and why they don’t, is a really interesting process (and something mainstream audiences frequently do). This can take place in pre or post show discussions – knowing a little bit about the story-line / reflecting on it, is a key to helping people have more confidence. “The play means different things to different people: if you don’t commit and are always looking for a relationship you seem to attract the same kind of people – you find them. Relationships define who you are in the future” [after a visit to see ORLANDO].